Are you ready to press fast forward?? 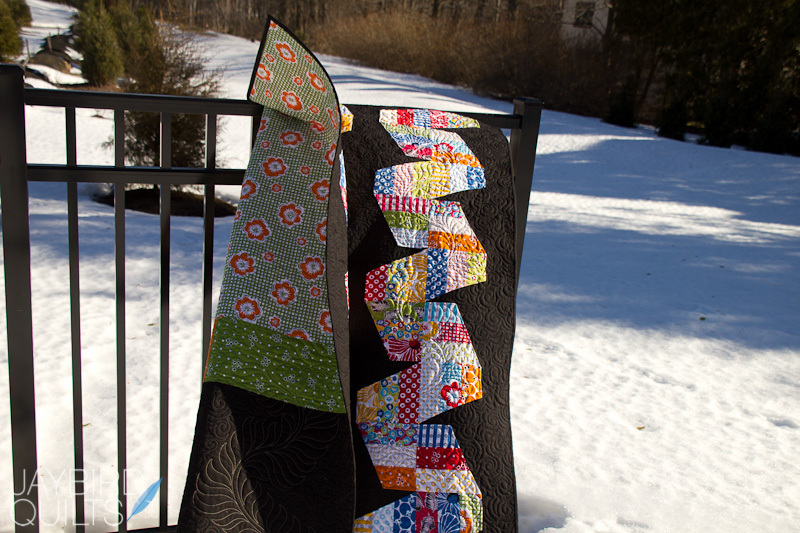 I used Treasures & Tidbits by Piece O' Cake Designs for Robert Kaufman. The black is Kona Black and I love how it makes the colors pop! 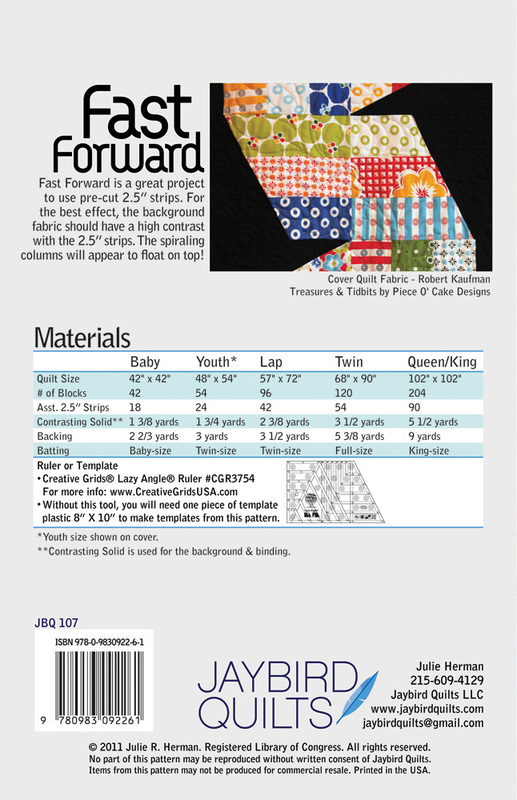 Here is the back coverSize options included for 5 sizes.Just like on Unwind and Hugs & Kisses I've listed the 2.5" strip counts for each quilt. 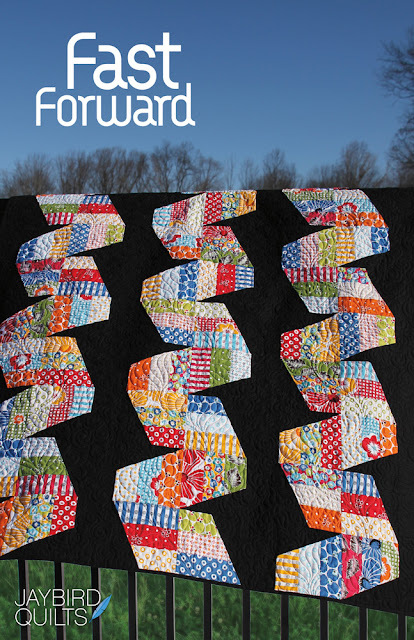 Fast Forward is a really FAST quilt to make.It uses pre-cut 2.5" strips for the blocks. The vertical columns are easy to make... add in some strips of black and you have a quilt top in no time! 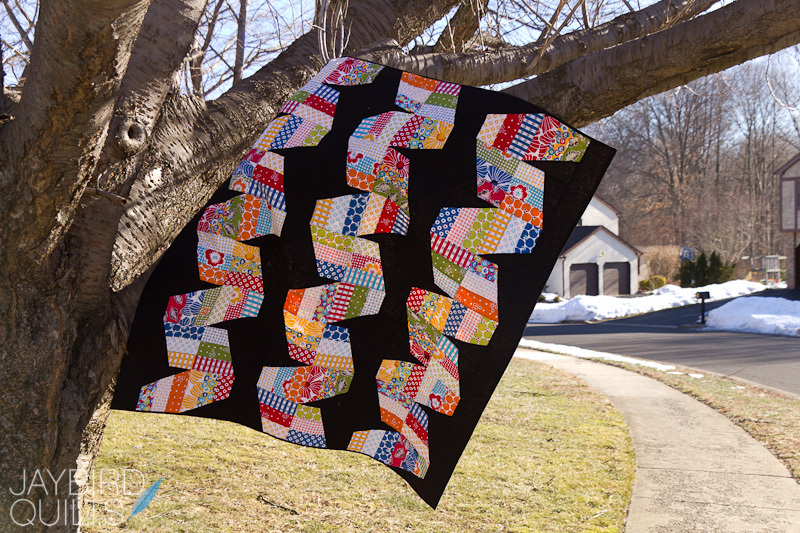 Angela quilted her famous Plume Feather that travels along the colorful strip and filled in the black background with swirls in black thread. Some outtakes... since you all seem to be enjoying them so much. Every photo just looked off... and none of them said "cover" to me. These are the best 3 shots I got that day.So I waited out the wind... which also happened to mean the snow melted away & was finally able to get my cover shot a few days later! 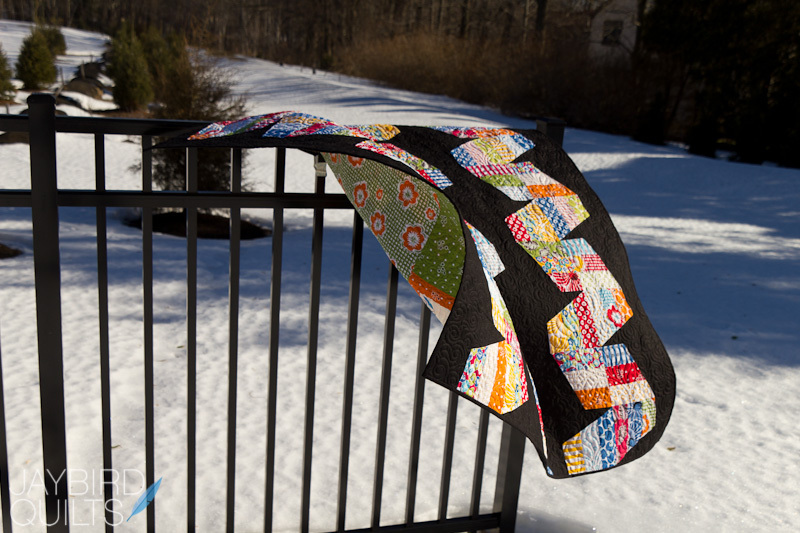 Oh and if you were wondering... this is the quilt in my "behind the quilt" photos.This photo really shows Angela's amazing work!! Oh and if you want to read about how Joan and I met... she wrote a post about me today! "Getting Lazy with Julie Herman"Thank you again Joan... for letting me run wild with your ruler, for your guidance, support, & friendship. 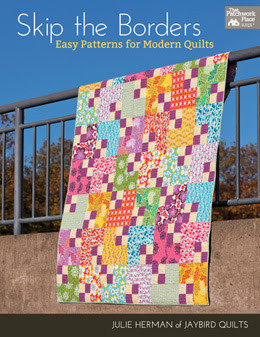 noteThe patterns are off at the printer now and will be available to ship on March 16th. 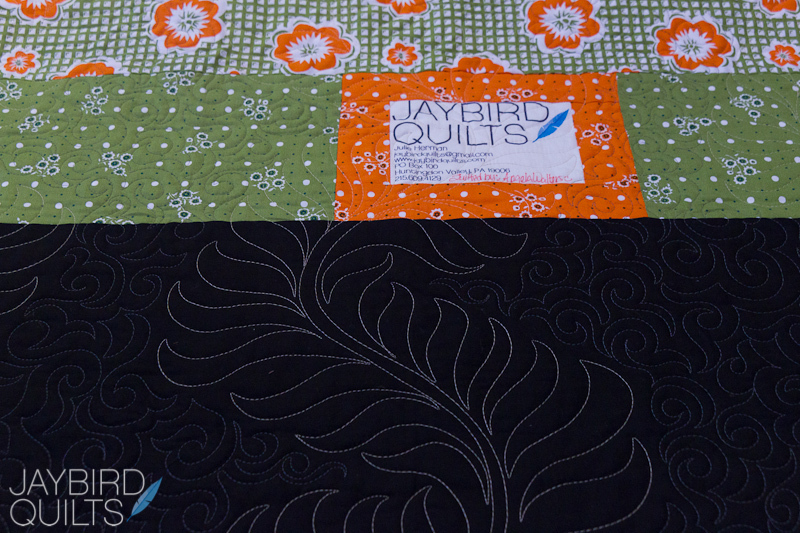 Another gorgeous pattern Julie. 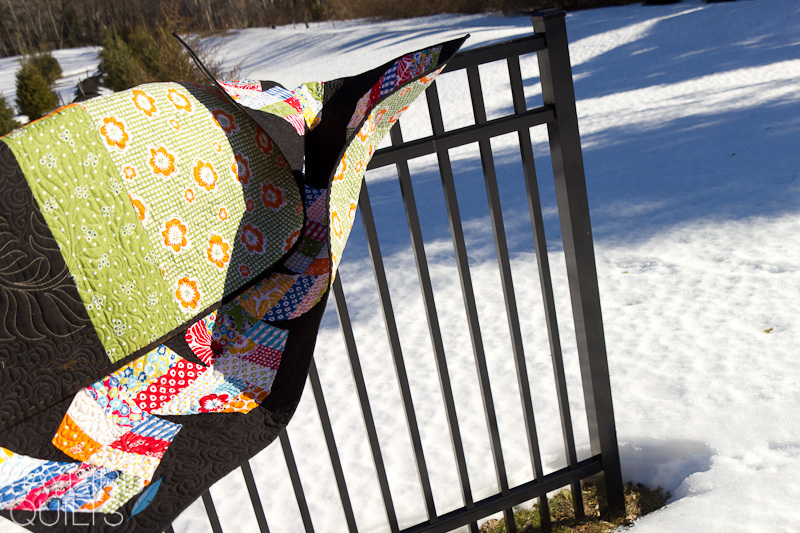 It does look great with green grass and blue sky vs. the snow. 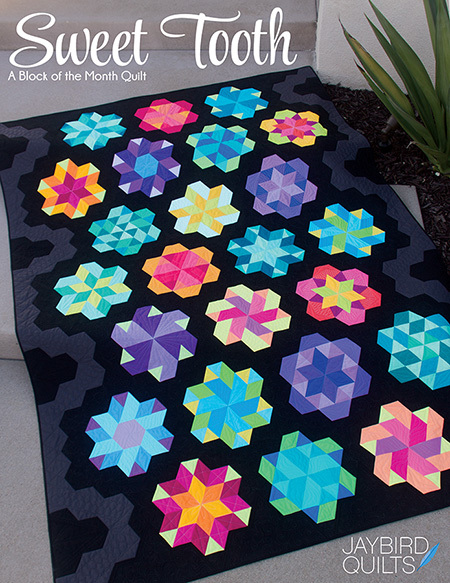 Gorgeours quilt with the black! I love seeing it whip in the wind. 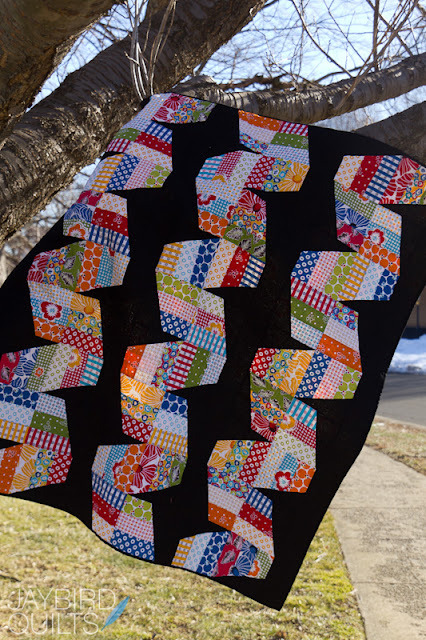 What's funny about this quilt (or my brain) is that I just can't get around the fact that it ISN'T actual twisted material! 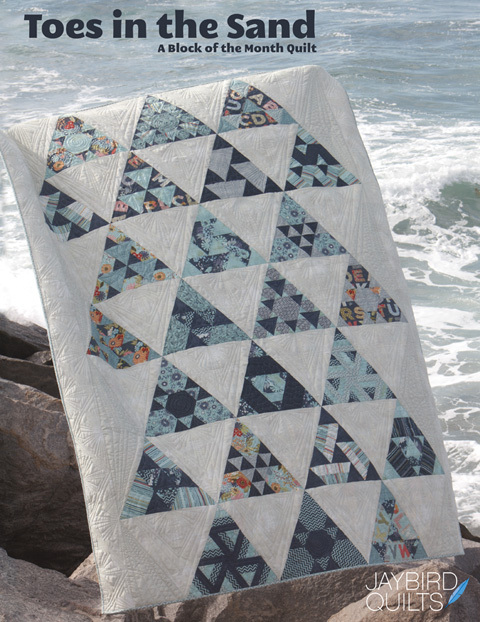 Quilted special effects..I think that's why I like this one so much! 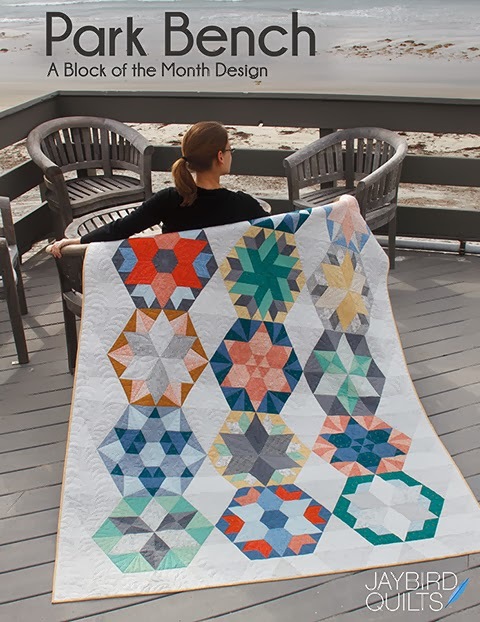 Clever block layout Julie! In a couple of these photos you can "see" layout, impressive and very creative.And I enjoy seeing all the photos too! 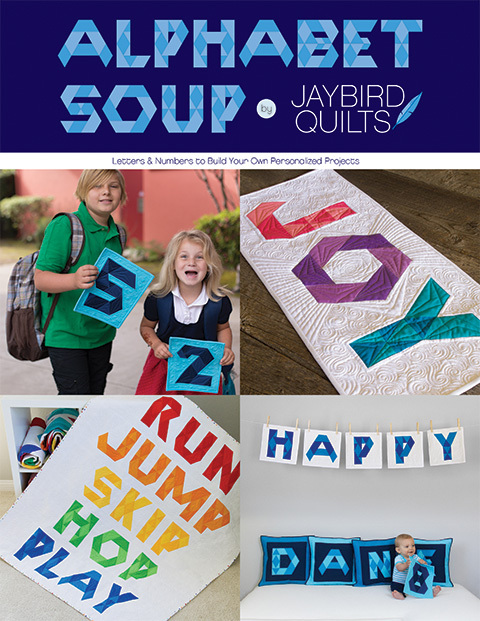 I'm loving your posts on your newest patterns Julie. Great photos too, even the ones that didn't 'make it'. 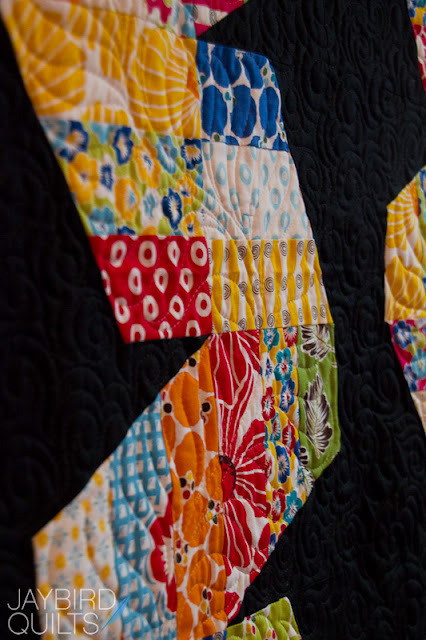 It's such a kick to to have followed your blog and be amazed - again and again- by how inventive and appealing your designs are and how clever and accessible your patterns 'read.' You make it all look so easy to execute, but it's clear you pay meticulous attention to every detail. 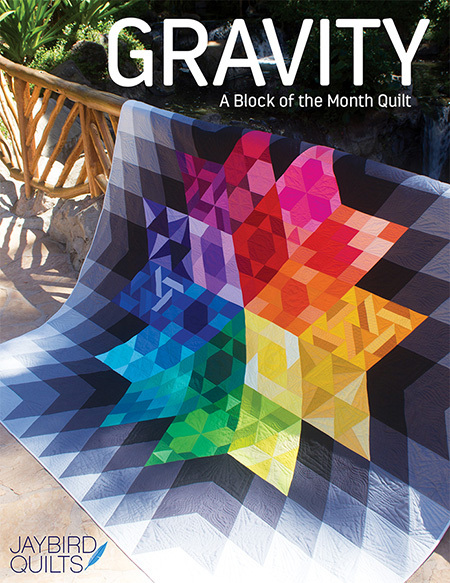 I'm dying to get at least one of these new patterns, but how to chose? 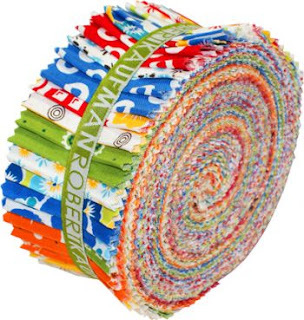 I love your new patterns. Can't hardly choose which one is my favorite. love it. The colours on the black look great!